1) Cash at our offices or via courier. 2) Bank transfer on our invoice. 3) By credit card. Accept the following systems: Mastercard/Maestro , VISA/VISA electron card and other cards. Without %. 4) The electronic payment system Webmoney, in this case, you need to put money to our WebMoney purse number R127425109149, in this case, do not forget to indicate your firm, contact person with phone number and order number, or invoice. 5) The electronic payment System Yandex money. Number of our wallet 41001269451719. Don't forget to let us know about the payment. 6) You can pay through bank transfer. You can do this in any branch of the bank, if he accepts transfers without opening, or, if you have opened account, you can transfer the funds from it to our. General Director: Antipin Sergei Yurievich. 7) For the holders of the purse Webmoney payment order through payment terminals is also possible. Also, if you do not have your own e-wallet you can pay directly to our account directly through the system of payment terminals. 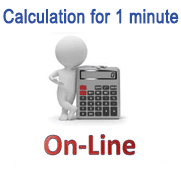 To find out what amount and in what way you need to pay for the order, you can ask managers of our company. Payment in this case will look as follows. 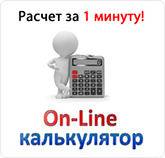 You need in the payment terminal menu to find the section of replenishment of a purse Webmoney. If you have difficulty to find it, look in the section "Other" or "Electronic money". In the window of a deposit you need to enter the amount you learned from the manager and the room our wallet R127425109149. Sometimes the system may prompt you for your name once you enter all the data and make the payment, the terminal will give you a receipt. Next, you need to call us or contact by e-mail , or ICQ: 146718140 about payment, that is, to report the date, method of payment and the time, and even better, send us a scanned receipt issued by the payment terminal. 10) payment by barter. Accepted as services and goods. Waiting for suggestions.